Ski slope in Rastkogel ski resort (Zillertal valley). English : Ski slope in Rastkogel ski resort (Zillertal valley). English : German wasp (Vespula germanica). Salar de Talar near San Pedro de Atacama, Chile. 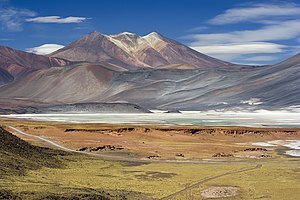 English : Salar de Talar near San Pedro de Atacama, Chile. Replica of a wind rose from a chart of Jorge de Aguiar, 1492. English : Replica of a wind rose from a chart of Jorge de Aguiar, 1492. A bouncing ball captured with a stroboscopic flash at 25 images per second. English : A bouncing ball captured with a stroboscopic flash at 25 images per second. English : Helsinki Lutheran Cathedral, Finland. Llamas (Lama glama) near San Pedro de Atacama, Chile. English : Llamas (Lama glama) near San Pedro de Atacama, Chile. Details of an unknown tomb in the Cimetière du Père-Lachaise, Paris. English : Details of an unknown tomb in the Cimetière du Père-Lachaise, Paris. Castle Geyser eruption, Yellowstone National Park. 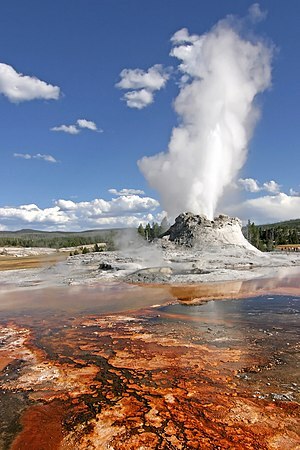 English : Castle Geyser eruption, Yellowstone National Park. A cutaway view of the plug of a Borstein Granat grenade. English : A cutaway view of the plug of a Borstein Granat grenade. English : Lammergeier (Gypaetus barbatus). Flame tree (Delonix regia) against brick building in Mali. English : Flame tree (Delonix regia) against brick building in Mali. Peablue (Lampides boeticus) at Osaka, Japan. English : Peablue (Lampides boeticus) at Osaka, Japan. Episyrphus balteatus ♀ at De Haan, Belgium. English : Episyrphus balteatus ♀ at De Haan, Belgium. A cheerful boy in the park of Ramírez, Santiago de Compostela (Galicia, Spain). English : A cheerful boy in the park of Ramírez, Santiago de Compostela (Galicia, Spain). Fire Bug (Pyrrhocoris apterus) - adults and nymphs (wingless). English : Fire Bug (Pyrrhocoris apterus) - adults and nymphs (wingless). Mount Everest north face seen from the path to the base camp. 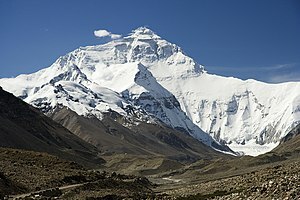 English : Mount Everest north face seen from the path to the base camp. The Oktoberfest festival in Munich, Bavaria, Germany. English : The Oktoberfest festival in Munich, Bavaria, Germany. English : Malé, capital of Maldives. 1 Euro cent coin, issued 2002. English : 1 Euro cent coin, issued 2002. Iapetus as seen by the Cassini probe. English : Iapetus as seen by the Cassini probe. Agama (Agama aculeata), east of Doro Nawas, Namibia. English : Agama (Agama aculeata), east of Doro Nawas, Namibia. Aircraft carrier USS Franklin (CV-13) attacked during World War II, March 19, 1945. 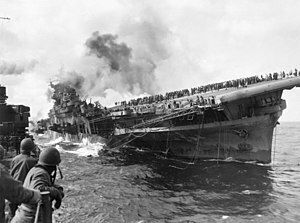 English : Aircraft carrier USS Franklin (CV-13) attacked during World War II, March 19, 1945. English : The Vinland map, a 15th century world map purportedly based on a 13th century original. If authentic, it is the first known depiction of the North American coastline.